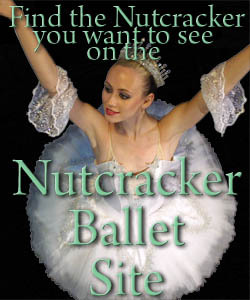 Each year Pasadena Dance Theatre presents The Nutcracker at the Historic San Gabriel Mission Playhouse. 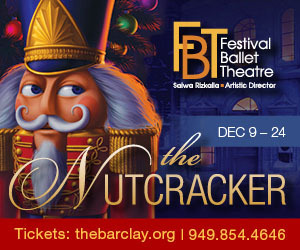 More than 80 dancers magically bring to life Clara's Christmas Eve dream of a dashing Nutcracker Prince, a devious Mouse King and an ethereal Sugar Plum Fairy. PDT Artistic Director Cynthia Young's choreography to Tchaikovsky's memorable musical score dazzles audiences of all ages.